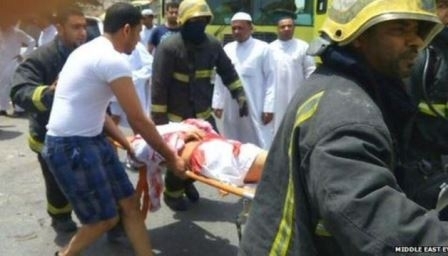 NAJRAN, SAUDI ARABIA (ANS – October 26, 2015) — At least one person has been killed and a dozen others injured in a bomb attack in Saudi Arabia, state television says. According to the BBC, the bomb exploded at a mosque in the southern city of Najran, near the border with Yemen. Unconfirmed reports said it was a suicide attack and suggested that the number of dead might be higher. There was no immediate claim of responsibility, but Sunni militants from Islamic State (IS) have bombed several Saudi mosques this year. “The targets in those attacks were members of the kingdom’s Shia minority,” said the BBC. The state television report did not specify the religious affiliation of the mosque that was bombed on Monday, but the Najran region has a large number of residents who adhere to a branch of Shia Islam known as Ismailism. Back in August, there was another suicide bomb attack on a mosque in Saudi Arabia that left 15 people dead. A senior Saudi official said the mosque in Abha, close to the Yemeni border, was used by the security forces. The Islamic State (IS) group says it carried out the attack. The group has already claimed two deadly attacks on Shia mosques in May. Observers say it is the single most deadly attack on Saudi security forces for many years. Saudi officials said the bomb went off while members of the security forces were in the middle of noon prayers. One interior ministry official told the BBC that most of those killed were members of a Special Weapons and Tactics (Swat) unit. He said at least three mosque employees were also killed, and scores of other people were wounded. The death toll was initially put at 13, but the interior ministry later said two of the wounded had died. Preliminary investigations at the time indicated the suicide bomber detonated an explosives belt while inside the mosque, interior ministry officials said. Photo captions: 1) Saudi TV showed security forces inspecting the site of a previous explosion. (Middle East Eye). 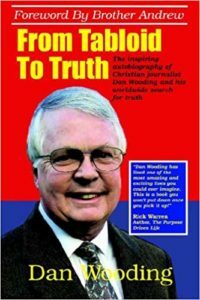 2) Dan Wooding.